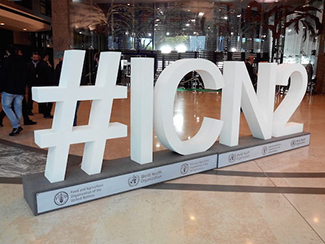 Humana supports the declaration of the Worldwide People's Decade for Action on Nutrition, arising from the Second International Conference on Nutrition (ICN2), held in Rome from 19 to 21 November. This event was attended by civil society and social movements fighting against malnutrition in all its forms. Humana Fundación Pueblo para Pueblo attended this event to add its voice to that of other international organizations demanding governments fulfill their obligations and responsibilities to its citizens. It is true that progress has been made, but insufficient. Every year there are on the planet more food than you really need the whole world population. But several factors such as access, price and lack of clear information to consumers have contributed to the situation where we are today: there are 200 million undernourished people less than 20 years ago, but 805 million people remain hungry. This is one in nine people on Earth. At the same time, about 500 million people are obese. At the end of the conference, these organizations promoted a statement to sue the UN and governments to put more of their part in the battle against malnutrition and secure, appropriate to the cultural customs of each community universal access to healthy foods and fruit of sustainable production systems. 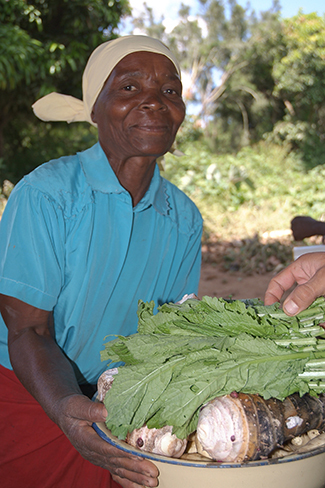 Therefore, it has been declared Worldwide People's Decade for Action on Nutrition.